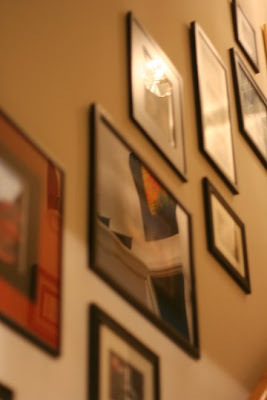 This is the picture wall leading to the upstairs. We've got framed photos of vacation landscapes, kitties, Shawn's band, our wedding and our engagement party. Pretty much everyday one of these photos catches my eye and even though I've seen it hundreds of times already, I stop for a second a look.